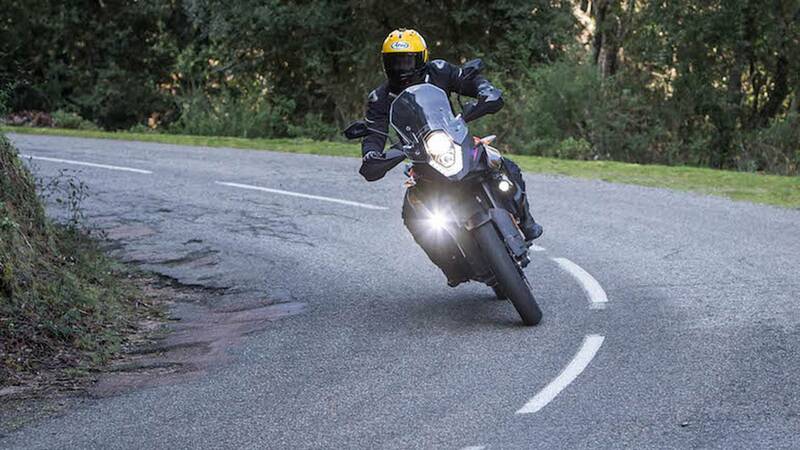 Like the 1290 Super Adventure S, But Less Super. Every manufacturer has its bread-and-butter model, and KTM's, I strongly suspect, is the entry-level Adventure model. Such models have a very hard job: they have to appeal to many riders and be good, if not excellent, in a wide range of conditions and duties. With the new Euro 4 regulations coming into effect earlier this year, manufacturers are updating their various offerings left, right and center to meet the lower noise and exhaust emissions thresholds. 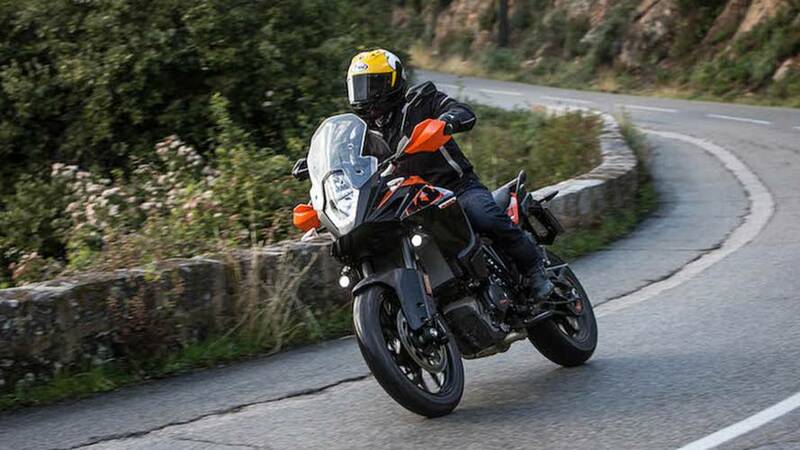 And so, KTM have replaced their 1050 Adventure with the 1090 Adventure. 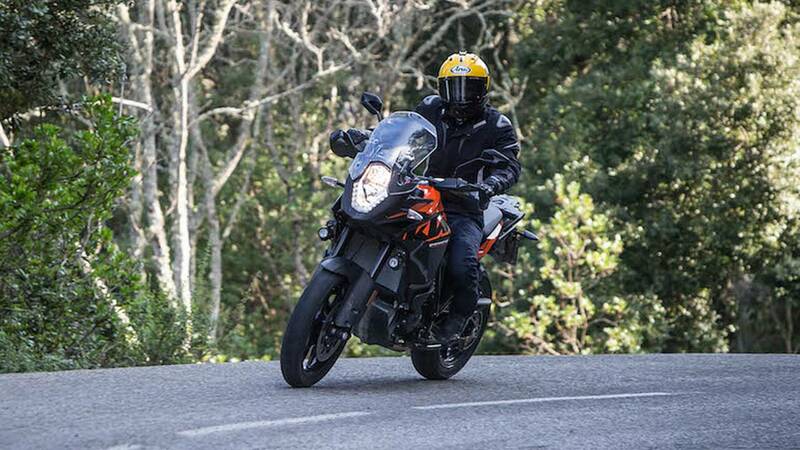 Rumor Control: Is KTM Building A Rugged 890 Version Of The 790 Series? So, what's new to tempt you to part with your £11,299 (US $14,102)? Well, the answer is: not a huge amount, actually. But that's to be expected as this is a bread-and-butter model, which can only mean that the formula wasn't ever going to be changed too much anyway. To that end, the only thing that has really changed between the outgoing 1050 Adventure and the replacement 1090 Adventure is the motor. It keeps the exact same bore and stroke (103mm x 63mm), and capacity, except now it kicks out a much healthier 125 horsepower - a 30hp increase from the 1050 Adventure's wheezy 95 hp. That's a welcome change, as the 1050 was often criticised for not being quite potent enough, especially when you consider this is a bike that'll take two bodies with luggage. 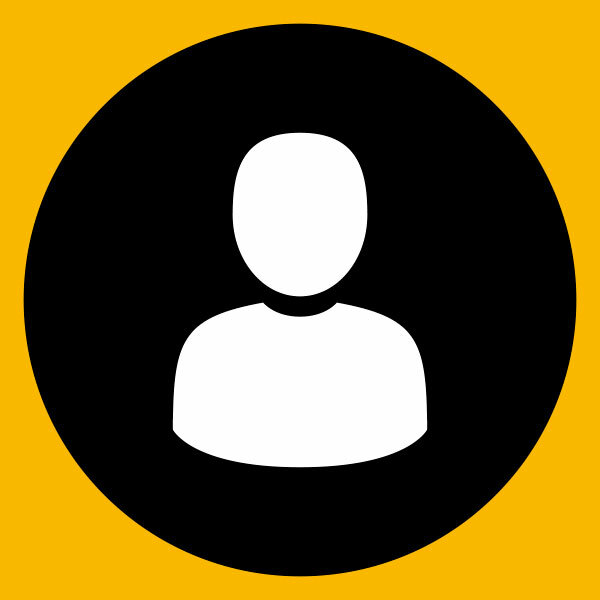 The rest of the updates are mostly cosmetic: some new graphics here and there, and an improved mechanism for adjusting the screen. And that's how you do a Euro 4 update for your most important model. If it ain't broke, don't fix it (but do add more power). The formula was arguably pretty punchy to begin with, so the hard work has, in a way, already been done. It's an adventure bike, so it's got a big, roomy, capable chassis with plenty of suspension travel and an upright, commanding riding position. The motor's got three power modes – Sport, Street and Rain – which adjust traction control and throttle response. There's a fancy hydraulic slipper clutch, Brembo brakes, Bosch-powered ABS and traction control, and quality WP suspension. Plus, there's an optional off-road mode that will allow you to lock and spin the rear wheel if you do venture properly off road. Although this really is a pavement-focused model. 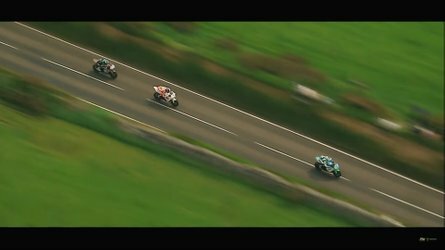 KTM is blatantly aware of just how many bikes potential customers have the luxury of choosing between in this segment and has done its best to make sure the 1090 Adventure is a viable choice for as many of them as possible. If you live in Europe and the new 125 hp of output is a problem for your insurers, there's a 95hp model that might make them look a little more favorably upon you and your wallet. 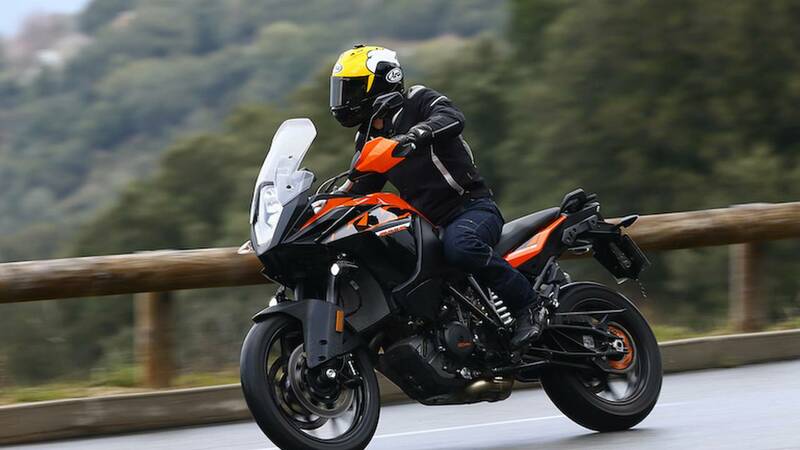 Similarly, if you've got an A2 license, there's a 47hp model available (although it's worth noting that KTM says it can't be unlocked to put out the full 125 hp if you upgrade your license). 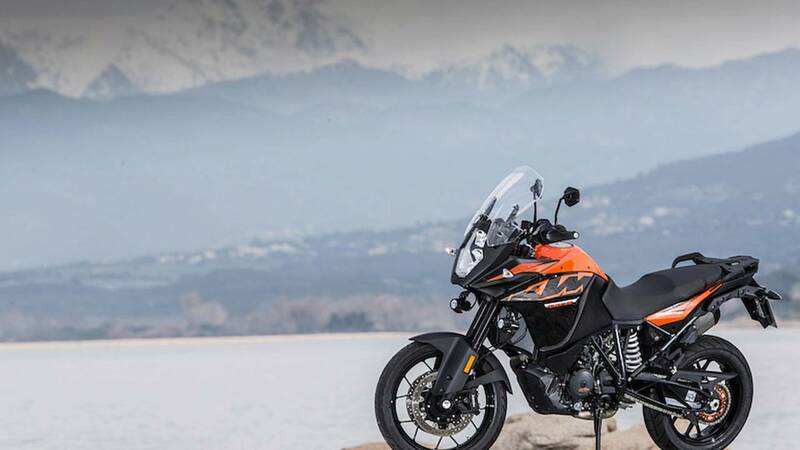 If you're wondering about the 1090 name – considering the 1050cc displacement – it's an attempt to indicate a connection with its bigger brother, the 1290 Super Adventure. Both bikes share the same chassis and engine block, but the 1090 sheds 10 kilograms (22 lbs) to weigh in at 205 kg dry (452 lbs). 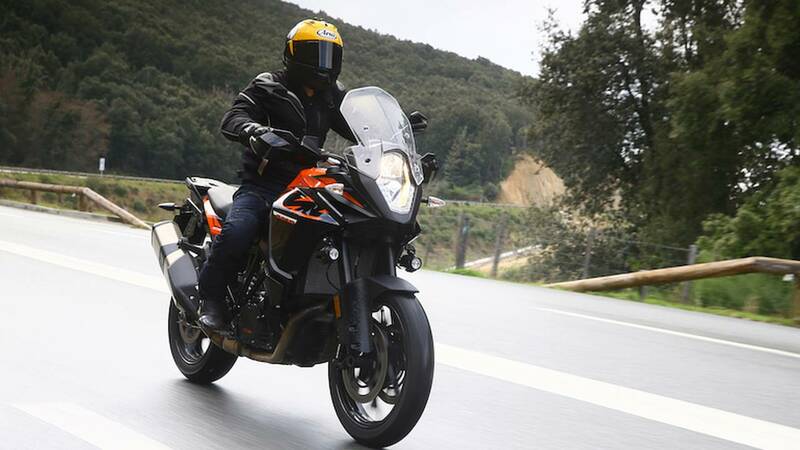 It achieves that by losing the 1290's TFT dashboard display screen, semi-active suspension, lean angle sensitive traction control and ABS, as well as the rather excellent cornering headlights, plus the six-axis IMU (Inertial Measurement Unit) that powers it all. 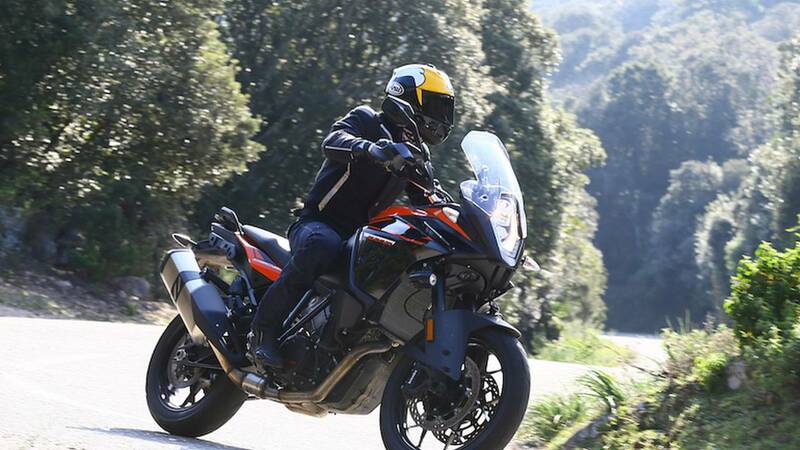 That might sound like a bad thing – as if the 1090 Adventure is just a poor man's 1290 Super Adventure – but what stripping all that extravagance reveals is a bike that handles fantastically well. 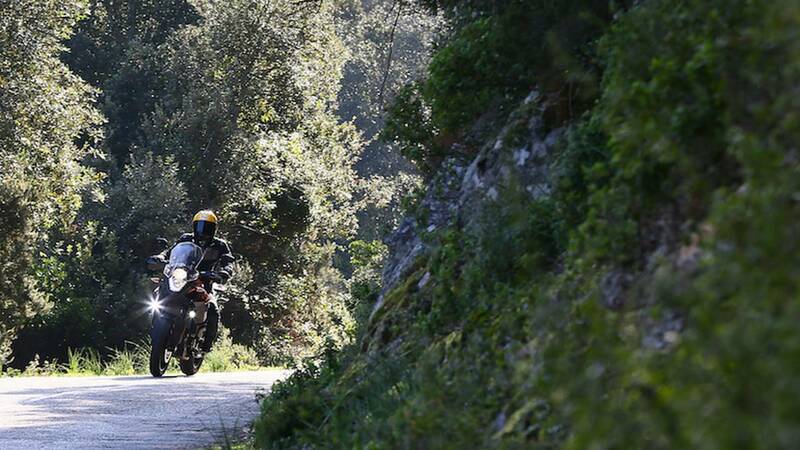 The weight advantage is immediately and incredibly noticeable as I got to ride both bikes back to back on Corsica's varied and incredible roads. I was more surprised by the difference that losing 10 kg makes than I was by the extra 30hp power boost over the outgoing model. It's super eager to tip into corners and the conventional suspension transmits huge amounts of feel, certainly more than any adventure bike with adventure tires really has any right to. 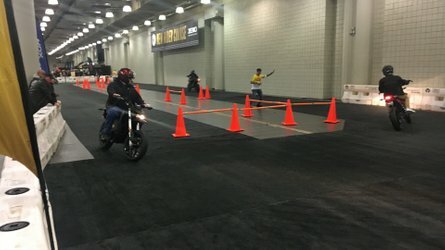 I actually found myself riding it like my old KTM 950 Supermoto (a very good thing, by the way) and giggling to excess. We rode on everything from twisty, technical roads with missing patches of asphalt to fast, flowing roads, to unmaintained gravel tracks, and I found myself enjoying it more and more the worse road conditions became. 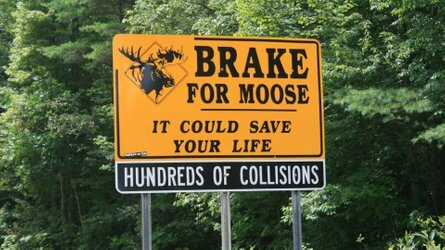 That's not to say it's not fun on wide open roads; it's composed and well behaved on those, exactly as you'd expect. Brakes front and rear are wholly adequate (dual four-pot and single twin-pot respectively), and offer plenty of power and feel. The motor is excitable, with seemingly a mountain of torque and the ability to spin up quickly. Mid range is where it shines, and it'll reward you for throwing it a constant supply of new gears to work with. Twisty and technical roads were a game of 2nd and 3rd gear, whereas faster roads were a breeze at lower revs in 4th-5th-6th, where MPG levelled out at around 45. That's another thing too; this is decidedly not a lumpy old twin with lots of metal flying in slightly opposed directions. 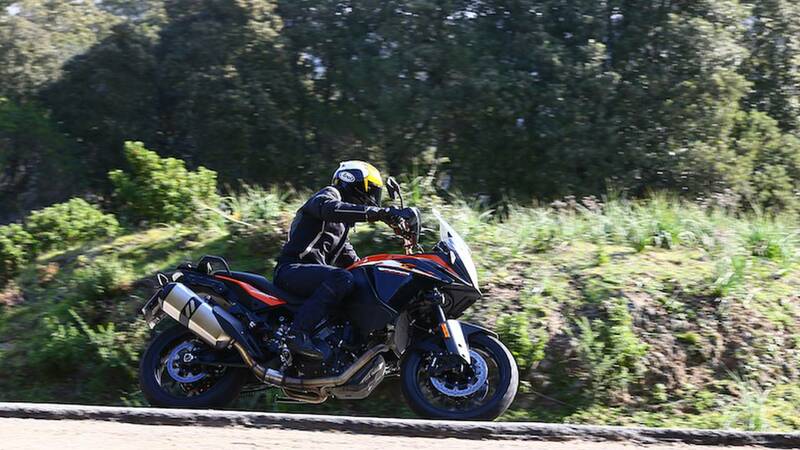 Numerous times during switchback hairpins or negotiating traffic I was expecting chain-slap and general lumpiness when using the lower end of the RPM spectrum, but KTM has ironed all of that out. It's a very, very pleasant bike to work with, and the slipper clutch is sublime, both on down shifts and on your fingers. Suspension on the 1090 Adventure is, like every other KTM, provided by WP, who works exclusively for KTM (hint: WP is now a wholly owned subsidiary of KTM). Up front is a pair of 43mm upside down forks offering 185mm (7.2 inches) of travel. While the forks aren't adjustable, the shock is, allowing preload and rebound damping adjustments for its 190mm (7.5 in) of travel. The lack of adjustability at the front will come as disappointment to some, but the good news is that the setup is good enough that you probably wouldn't want to adjust it anyway. The only time I could make the suspension show any kind of weakness was in big, sudden dips in the road. Whereas the 1290, with its active suspension, would make that kind of obstacle all but disappear the 1090 would sort of crash to the bottom awkwardly before bouncing back out. No real biggie, though. The only disappointing feature of the 1090 Adventure is the rather low-rent LCD dashboard. I will be the first to admit that as we had the 1290, with its all singing, all dancing 6.5-inch TFT display on hand, the 1090's was at an unfair disadvantage, but the low resolution, backlight LCD display does definitely feel dated regardless. Sure, it's brain-dead simple to operate via the controls on the left handlebar, but it feels like KTM could have tried just a tiny bit harder. First, it'll do just about anything on pavement, as long as it's not the fast group at track day. Second, its handling and chassis will keep you happy day after day, mile after mile. 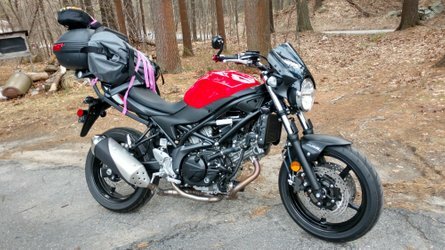 An adventure bike simply should not feel this good or this right. Third, the motor makes power in exactly the right place and plenty of it. Unlike the 1290, this is a bike you can really ride: you're not left wondering if you're just a passenger - instead, you're fully in charge. And that's a very, very good thing. Usually rides: Road predominantly, but plenty of track shenanigans thrown in.